Twenty years ago Ross Petty began what has become a holiday tradition in Toronto; a kooky theatrical pantomime based on a fractured fairytale, with cross dressers and pop culture humour which continues to make audiences of all ages laugh out loud. Bankrolling theatre in Canada is no easy feat. To increase revenue, nine years ago Ross came up with the radical concept of shooting commercials with the cast to run in the middle of the show. The first brand to buy in was Tim Hortons. A spot for the Cinderella production featured the evil stepmother (Ross Petty) and her two very ugly (cross-dressing) daughters who head to Tim Hortons for coffee and donuts. Silly, campy and memorable. Clearly this was a risky venture. Not many people who’ve paid top dollar for a theatrical experience would appreciate having their show interrupted midstream with a paid ad. Until Ross unveiled his. 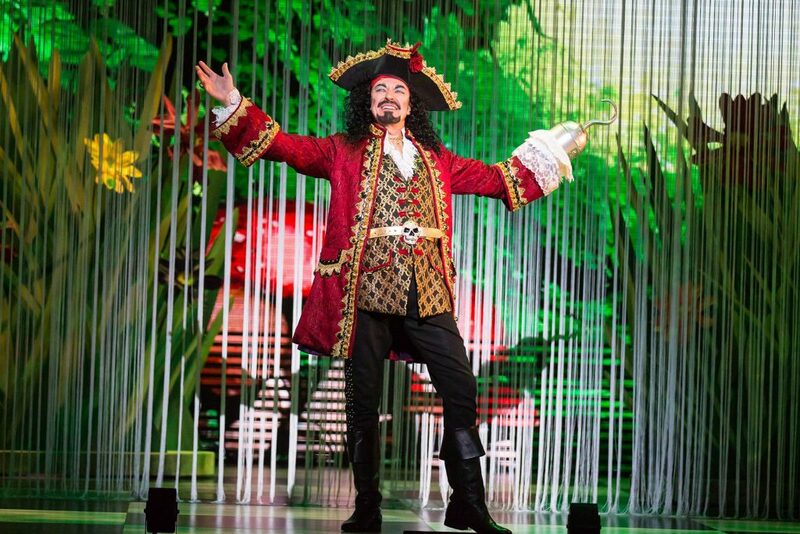 If you’re a marketer and haven’t seen one of Ross Petty’s productions yet, you need to race to the box office and grab tickets to Peter Pan ASAP. (Bring your kids. They’ll love it.) You will be in awe of how, mid show, the screen drops down to play the ads he created with his presenting sponsors. Rather than angering his audience, these short commercials are met with laughter and applause. Did you get what I just said? Audiences are APPLAUDING FOR A COMMERCIAL! Did I mention that 55,000 people pass through the Elgin Theatre doors every season for a seat in a Ross Petty show? Talk about a captive audience. These sponsored videos use the same principles of integrated branded content showing up everywhere online. While most marketers (and publishers) still don’t have a firm grasp of how to authentically and effectively partner with brands for engaging content, Ross just gets it. Why do these videos work so well? It’s the same premise as to why certain pieces of digital branded content go viral. It happens when the client understands that successful integrated content occurs when their creative partner creates content the way they know their audience wants to receive it. Client picks the right partner. Client trusts partner. Audience loves content. Audience shares content. Client, partner and audience are happy. Win, win, win. In the case of Ross Petty’s shows, the same writers who pen the pantos and all its campy jokes are responsible for bringing the same wackiness and heart to these ads. The zany characters of the show aren’t expected to water down their personalities. The brands trust Ross’s team to make it funny. The result is a perfect addition to the show, rather than a detraction. So much so, when you ask theatre goers what the highlight was, many mention the ads as the best thing about the play. Marketers dream of a response like that to their commercials. This is CIBC’s second of their three year commitment as title sponsor. This season their relationship deepened when Juniper Park’s CEO Jill Nykoliation recognized the potential for her client. Their video features CIBC mascot Percy the Penguin onscreen with zany and much loved character TinkerBum, with the addition of secondary strategic product placement which melts the audience’s collective hearts. In the second act, three cute kids from the audience are invited onstage and presented with huge Percy the Penguin stuffies. Think about it. The cutest kids in the show walking around hugging the CIBC mascot while all of us in the audience ooh and aah. Perfect product placement to reinforce their video vignette. SickKids also joined Petty’s roster of sponsors this year. Their video features teen stars of TV series The Next Step who have roles in Peter Pan who team up on camera with children from SickKids. It hits the perfect balance between funny and full of heart. And then, for the one-two punch, tables are set up in the lobby to solicit donations to SickKids. Brilliant. If you’re a brand or working with one, you need to source out creative partnerships with content creators who have strong voices and dedicated followings. So how should this affect the way you market this coming year? Content is king for 2016. If you’re a brand or working with one, you need to source out creative partnerships with content creators who have strong voices and dedicated followings. Trust your partners to integrate your stories and messages in a meaningful way to their audiences. And finally, don’t take yourself too seriously. Humour will melt even the coldest consumer’s heart. It works for Ross Petty, and can work for you too.